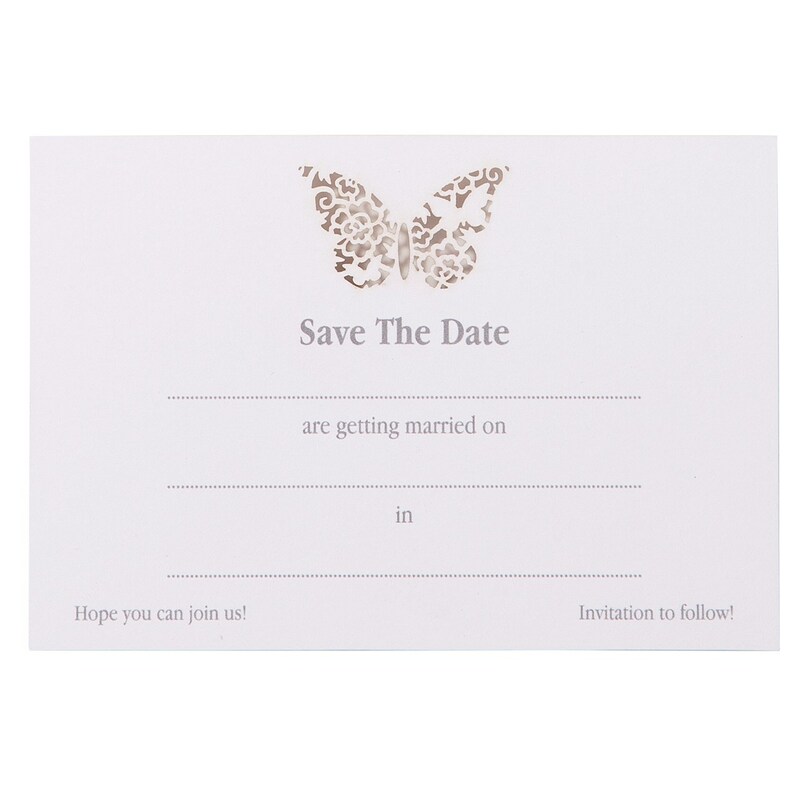 DescriptionBe very organised and prepared for your wedding with beautiful butterfly 'Save the Date' cards. 10 x die-cut butterfly white save the date cards with envelopes. 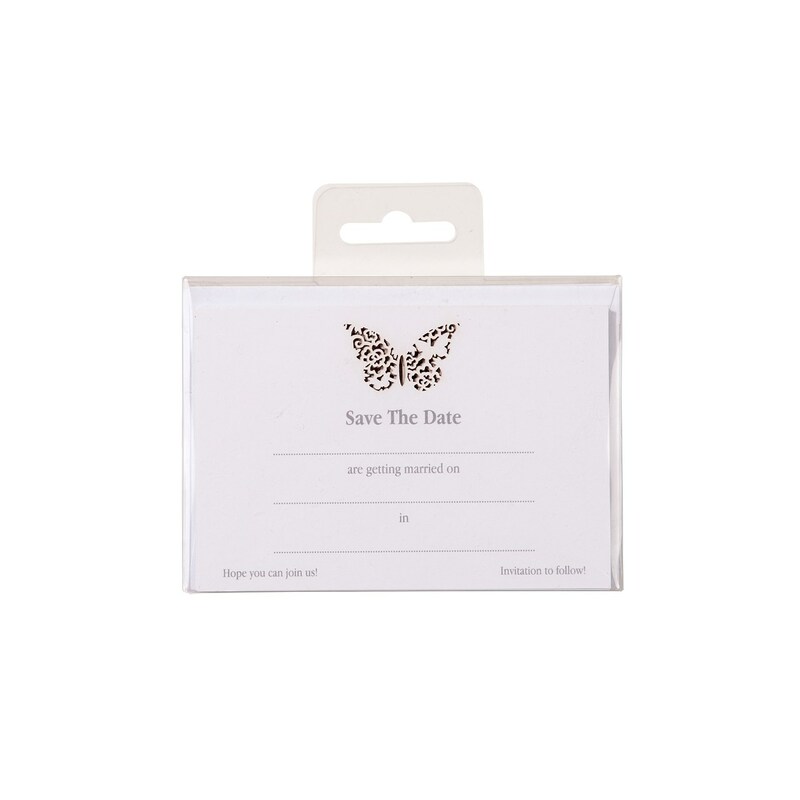 Be very organised and prepared for your wedding with beautiful butterfly 'Save the Date' cards. 10 x die-cut butterfly white save the date cards with envelopes.